Obituary – Newton, Harry Leon « Perry High School Alumni Association, Inc.
﻿Funeral arrangements are pending in Fort Worth, Texas, for Harry L. Newton, 71, formerly of Perry, who died Thursday in a Fort Worth nursing home. He was a brother of G. D. (Ted) Newton, 1705 Park lane, Perry. 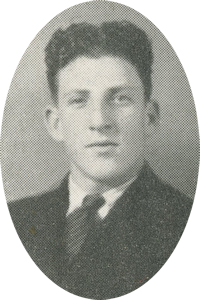 Newton was born July 5, 1910, attended Perry school and graduated from high school in 1928. He attended A&M college at Stillwater and retired from metal goods sales in 1970. Other survivors are his wife, Anne of the home; two daughters, Leslie of Florida and Patti of the home and two sons, Harry S. of the U.S. Navy stationed in New Orleans, and Charles of the home. He was preceded in death by his parents, George A. Newton of Perry and Dorcas S. Newton of Oklahoma City and a brother, Charles.